Welp the unpredictable Oscar season is finally over! Now onto a hopefully more tame Oscar season. Listen to the Original Score nominees! 12:01am – Spotlight is the first film since 1952’s The Greatest Show on Earth to win the Best Picture Oscar with only one other win. Check out the links above for more on the 2017 Oscar Predictions. Thanks for following! 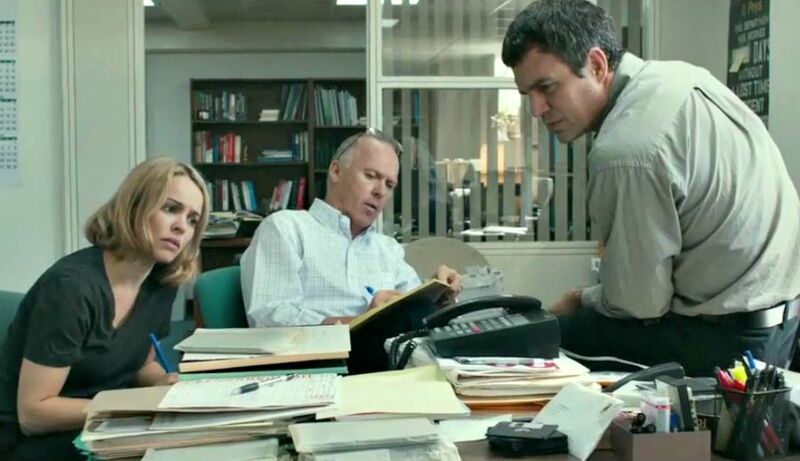 12:00am – Spotlight wins Best Picture! Makes HISTORY! We have just about as many predictable categories this year as we have unpredictable categories. Anyway, check out our final 2016 Oscar Predictions below and check out our 2017 Oscar Predictions here. Just like last year. I will be live-blogging the Oscars with category/ceremony updates, polls, links to music (scores, songs), and a monitor of our predictions. Anyways, thanks for your patience this season, but we look to hit the ground running with fresh content for The Media 10 once award-season is complete. WE WILL BE LIVE BLOGGING AT 7pm ET Sunday February 28th. SN: PGA awards “The Big Short;” don’t listen to Oscar bloggers this season. Okay, yes, I know I’m technically an Oscar blogger too, but hell I’m telling you now not to listen to me as well. The best we can tell you is that “Best Picture” will be either awarded to “The Big Short,” “The Revenant,” “Spotlight,” or hell, even “Mad Max” has a chance. The Producer’s Guild completely shifted the momentum from “Boyhood” to “Birdman” last year, but this year is incredibly different. “Spotlight” didn’t have too much momentum, and it has plenty of time to be that underdog the rises back up. My two cents? Watch the guilds. SAG is “Spotlight” vs. “Big Short;” I’m calling “Big Short.” WGA comes around “Big Short” again, which is the easy adapted screenplay front-runner. But DGA? Is “Big Short enough of a directorial effort? No, I don’t think so, but momentum can easily get McKay that award. I think Miller is too bold for the DGA, as admired as he is, so that leaves Iñárritu. But will the Academy vote on a split? If DGA goes Iñárritu I think we can expect a split between the two “The Revenant” and “The Big Short.” But again, don’t listen to me. I know nothing. No one knows anything. Go to bed. Accept the mystery. Personal favorite has to be between “Carol” and “Sicario.” I loved Ennio Morricone’s score for “The Hateful Eight” as well, but wish that he had recorded more tracks for it. Personally would’ve nominated “It Follows” here. We’ve picked some strong sample tracks, but go on Youtube if you want to listen to more! After “The Revenant” scored 12 nominations on Thursday morning, you have to start thinking that the HFPA favoring “The Revenant” to “Spotlight” wasn’t just a fluke. Watch for the PGA and DGA winners as well to notice any significant momentum shift. “Spotlight” should win SAG and PGA, but I think all “The Revenant” needs is a push from a DGA win to secure its victory. If “The Revenant” wins PGA? Well, then it’s over. It’s been a very different year for award predictions, but thanks for baring with me. The nominations will be announced next week, and I feel very confident in my predictions. At this stage, it definitely looks like “Spotlight” is our winner, however I’d watch out for a Director/Picture split. Potentially Miller could get away with murder here, overcoming a genre-bias Academy. Here are our final predictions and stay tuned for more from us as the season continues. We’re getting closer. Now with the Golden Globe and SAG nominations out there, things are starting to clear up. The only thing not really clear is “Star Wars” which we won’t know much about till midnight on the 16th. Still we are at a point where you can expect most of the nominees to look like what we have below. Visit the Oscar page for frequent updates. Because we’re weird and obsessed for some reason.